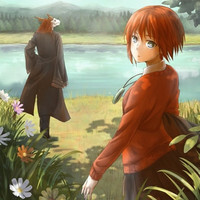 To promote the theatrical release of its second part starting in Japan today, February 4, the official website and Twitter for the three-part OAD project inspired by Kore Yamazaki’s fantasy manga series Mahou Tsukai no Yome/The Ancient Magus’ Bride has been posting countdown illustrations drawn by its production staff members. Check their arts below. 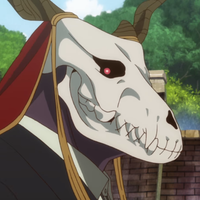 The OAD series is based on the manga author’s original episode “Hoshi Matsu Hito/Those Awaiting a Star,” telling a prequel story about what happened to the protagonist Chise Hatori when she was 8 years old, long before she meets Elias Ainsworthis. 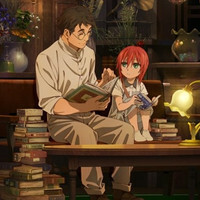 The second part is scheduled to be screened at eight selected theaters for a limited time of two weeks, then will be bundled with the special edition of the manga’s 7th volume to be released on March 10. The last third part will be included in the special edition of the manga’s 8th volume to be available on September 9.
members worldwide except Japan, China, Taiwan, Hong Kong, and Macau. Copyright © 2016 MAG Garden corp. All rights Reserved. Devilman: Crybaby Ep. 10 is now available in OS.